Some dishes really require good bread… or in this case a great biscuit to be served alongside it … at least in my world. When it comes to breads, I would have to say that I love yeast breads best, but these biscuits would come in at a close second. I wanted a nice bread to go with my cheesy chicken and pasta casserole from my last post, but didn’t want to spend a lot of time making it. So I decided to make biscuits and to make it even simpler I made drop biscuits. Really these are super simple to make and they turned out to be nice and light. 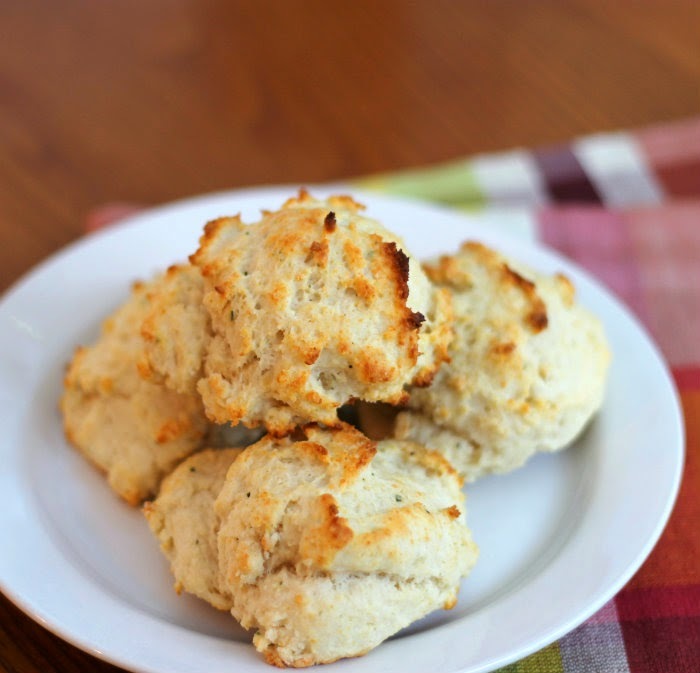 I wanted the biscuits to have a bit of an Italian flair to them, so I took this basic recipe and added some Italian seasoning and Parmesan cheese. 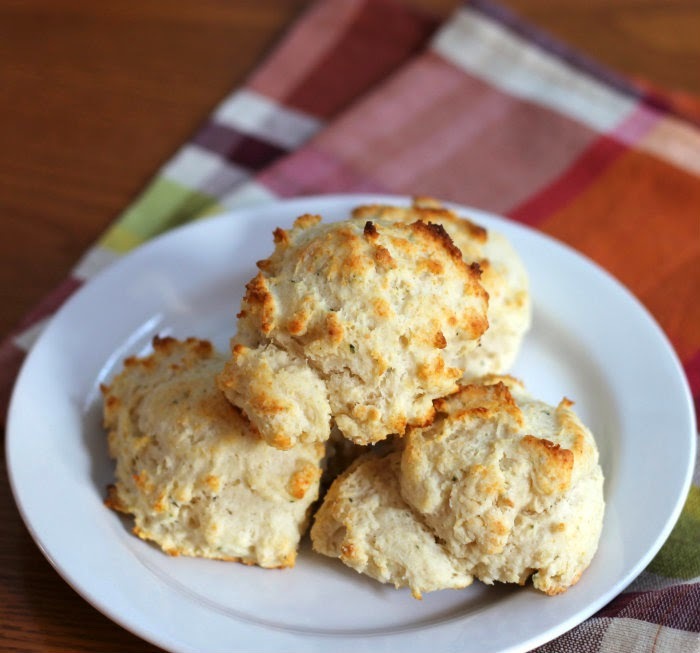 The seasoning and cheese made a big difference on the flavor; the biscuits went perfect with the casserole. 1. Heat oven to 450 degrees F. Combine flour, baking powder, baking soda, salt, Parmesan cheese, and Italian seasoning in a large bowl and mix until well blended. With a pastry blender or a fork, cut in the shortening until mixture resembles coarse crumbs. Stirring with a knife, add buttermilk and stir until blended and mixture leaves sides of bowl and forms a soft moist dough. 2. With a tablespoon drop dough onto a greased cookie sheets. 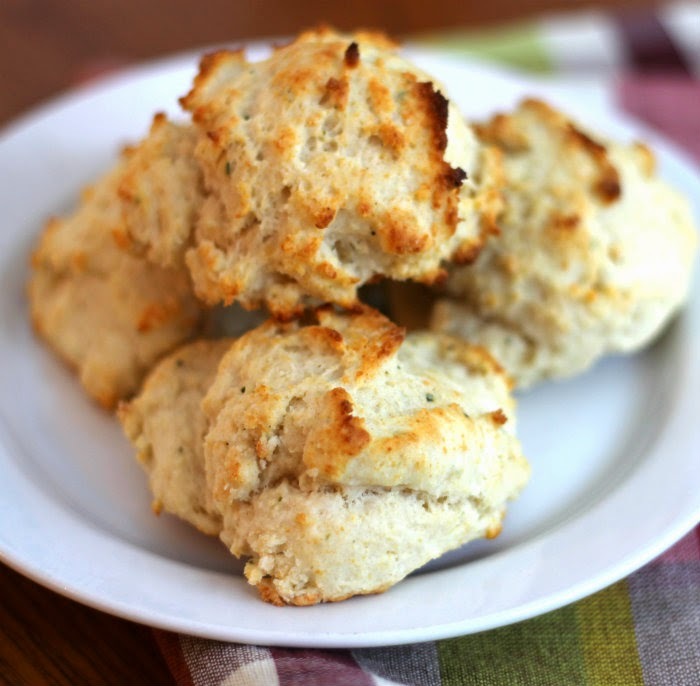 The biscuits sound like a perfect match to a casserole. And I don’t do yeast so they’re perfect for me. Yesterday I had a random biscuit craving, and now you’re posting these! Fate, I think. Can’t wait to try them!